Get this artwork (as shown – 44x94 inches) or let me make a similar one in a different size (24x48, 36x72 or 42x42 inches). Born in Montreal, Guy Hamelin has been exploring artistic compositions for over 20 years. Photographer by trade, he was first asked to photograph the works of other painters. His contact with both the artist and their creations made him want to touch the materials and play with the pigments. 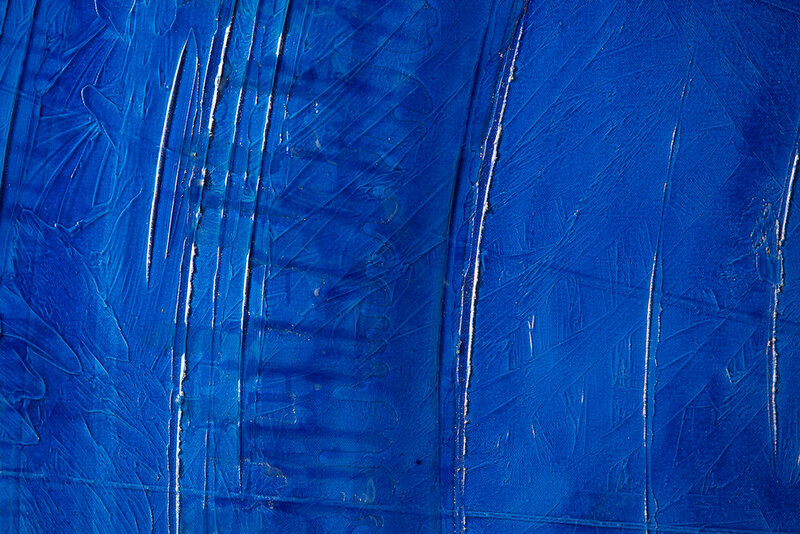 Blue was my favourite color from my childhood until I started as an artist painting. Today all colors are my favourites especially when I manage to position them well on my works.